Brown Headed Meat, or Braunkopfiges Fleischschaf, are one of the four predominant sheep breeds in Switzerland. They are the heaviest breed. 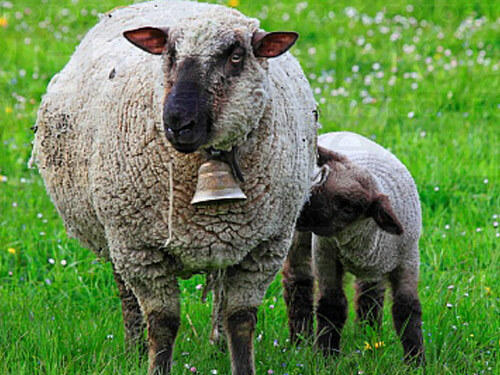 They were developed by crossing Oxfords from England and German Blackheaded Mutton sheep onto landrace sheep. The breed is seasonal, lambing once per year, usually in the winter, averaging 1.7 lambs.